Piper Aircraft Inc. announced its aircraft sales and delivery results for the second quarter of 2017, ending June 30. The company continued to grow its new aircraft deliveries and revenue with sales of turbine, M-Class products leading the company’s performance success. 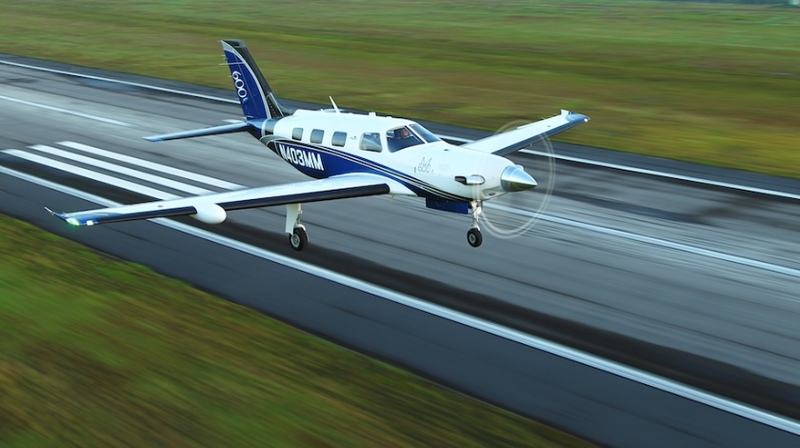 Additionally, Piper trainer sales growth is being led by the proven Archer platform with sales backlog into Q3 2018. The company posted quarterly revenue of $52.1M and deliveries of 32 aircraft. Compared to the company performance in 2016 through Q2, Piper Aircraft sales revenue has increased $10.7M year over year, which represents a 26% increase. Additionally Piper product deliveries have grown by 13 units, when compared to the same period in 2016, which is a 30% increase. Piper Archer deliveries continue to rise with more than three times the units delivered vs. 2016, registering a 228% increase. “Our commitment to a common sense, made to order approach, has been a key differentiator and is contributing to Piper’s success in this “new normal” market that we are all talking about. Our business model is made possible by our dedicated, experienced workforce, world class /full service Dealer Partners and a stable, long term focused ownership body.” said President and CEO, Simon Caldecott. Simon Caldecott continued, “The addition of the class-leading M600 continues to drive revenue growth. Additionally the demo tour of Europe and Africa has resulted in better than expected sales, with five aircraft sold today and several more pending.